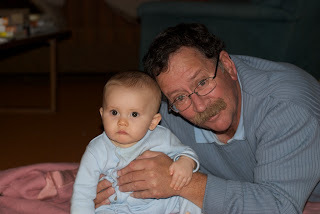 Here is a picture of my Dad with his only grand child, my son DEXTER!! I Love this picture! Things have not been going well for me lately, at all! I have seen much brighter days. There is hope and with it I find myself really wanting to win a beautiful set of 4 computers from HP! They were generous enough to sponsor 50 blog contests. My father is the most deserving of a new computer and I really pray that I can give him one real soon!!! !